Looking for a fun homemade Halloween wreath to make with your kids? 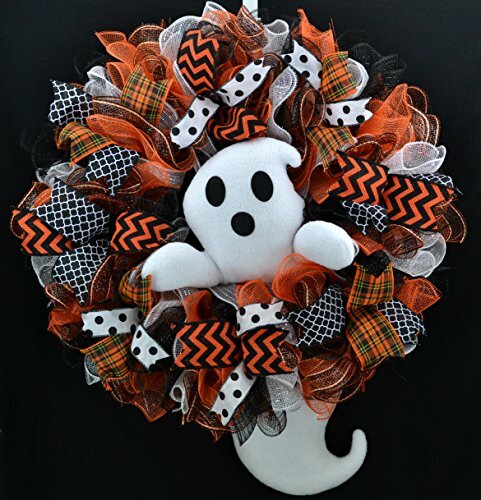 This Monster eyes wreath is just as cute as it is spooky and will look great hanging on your door this October. 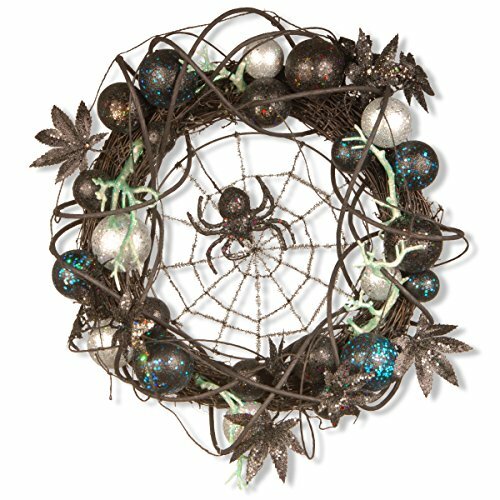 I first saw this wreath a couple of years ago in a Halloween crafts magazine. I knew immediately that I wanted to make it to hang on my front door. I did a few things differently from the original instructions so I thought I would share how I made mine. Duct Tape – whatever you have on hand, it won’t show on the front of the wreath. ✅ No time to make this homemade Halloween wreath now? Click here to pin this tutorial for later! Start by laying out your wreath on the back side of the faux fur. 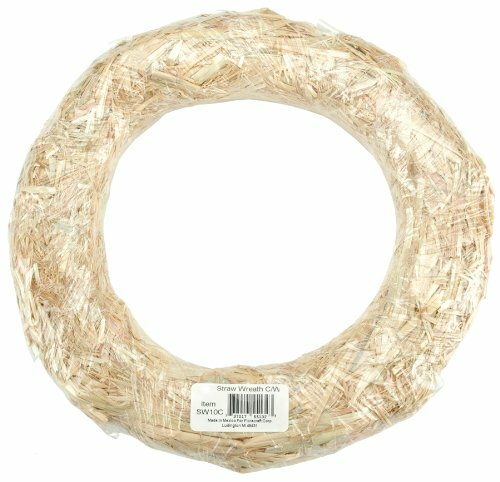 If you are using a straw wreath, don’t be alarmed if it sheds a little. The entire thing is going to be covered up so it doesn’t matter. Use your sharpie to draw a circle that is 5 inches larger than the outer edge of the wreath. I just measured out 5 inches at regular intervals around the wreath and marked it with a dot. Then I connected the dots to draw the circle. This does not have to be anywhere close to perfect so don’t spend a lot of time getting it perfectly round. Cut this circle out. Now lay the wreath in the backside of the faux fur circle, making sure it is centered. Draw a circle about an inch inside the inner edge of the wreath. In this inside circle, draw a “+” then an “x”. Cut these lines to separate the inner circle into wedges. Draw a circle about 1 inch from the outer edge of your wreath. Now you are going to cut the outer ring into manageable strips so you can fold the fabric around your wreath form. I think my sections were about 3 inches wide. But again, don’t stress over getting everything exactly the same size. This is a very forgiving project! 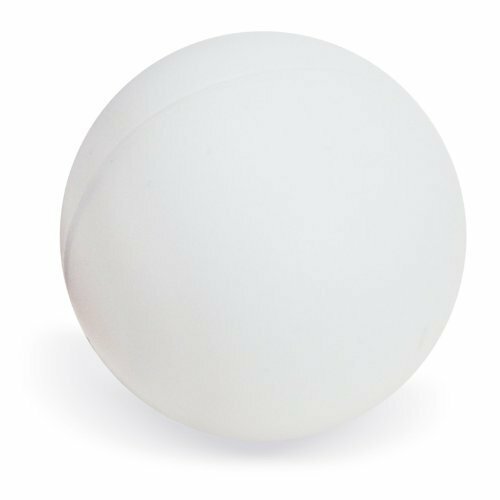 On your ping pong balls, draw a black circle and fill it in. This will be the eye pupil. Measure the size of your ping pong balls. Mine were about an inch and a quarter in diameter. So this is the size that I want to use to cut slits in the fabric for the eye holes. Evenly space 10 of these slits around the ring. I found it easiest to put one at the top, one at the bottom, and then evenly space 4 more on each side. I used a ruler to draw 1.25 inch lines before I cut any of the slits. Now pop your eyeballs halfway through the fabric and secure with duct tape on the wrong side of the fabric. I used 3 inch strips of duct tape, cut in half lengthwise and then criss-crossed 2 strips per eye to hold it in place. Put your wreath on top of the wrong side of the fabric and begin pulling the faux fur tabs up over the wreath form and pin them into place with the T-Pins, using one pin per tab. 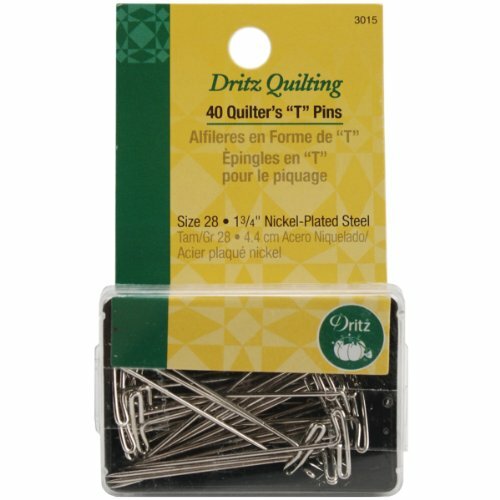 The original directions called for ball-tipped pins. However, since I was using a straw wreath form, I went with T- Pins so it would be a little more secure. As you are pinning the tabs in place, periodically check to make sure the wreath is still centered. Fold your ribbon in half and use a couple of T-pins to pin the ends to the wreath to form your hanger. I wanted to make absolutely certain that the ping pong balls would stay in place, so my last step was to run a ring of white glue around the edge of each eyeball where it poked through on the front of the wreath. White school glue dries clear, plus you can fluff the fur up around the eyes so you won’t see it. Want a spookier homemade Halloween wreath? Use Zombie eyes ping pong balls. I found mine at my local Dollar Store. If you can’t find them locally, use a red sharpie to make it look like the eyes are blood-shot. Use Glow in the Dark Ping Pong Balls. 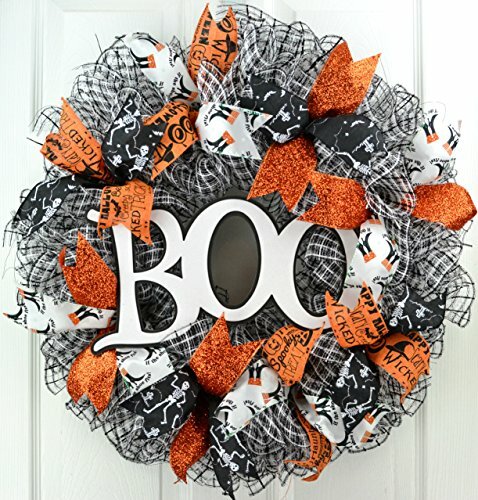 Insert fake plastic fangs at the bottom of the wreath to make it look like your Monster Eyes Wreath has a mouth. (I mean those fake teeth sets that people sometimes give out as party favors or Halloween treats. You can probably find them at the Dollar Store too.) You could even use red sharpie on the tips to make it look like the fangs are bloody! No time to make your own Halloween wreath? Here are some fun ones to check out! So tell me… What are you creating for Halloween this year? For even more ideas like this Monster Eyes homemade Halloween Wreath, be sure to check out the rest of my Halloween crafts. Happy crafting! Oh my goodness… isn’t this the cutest??? 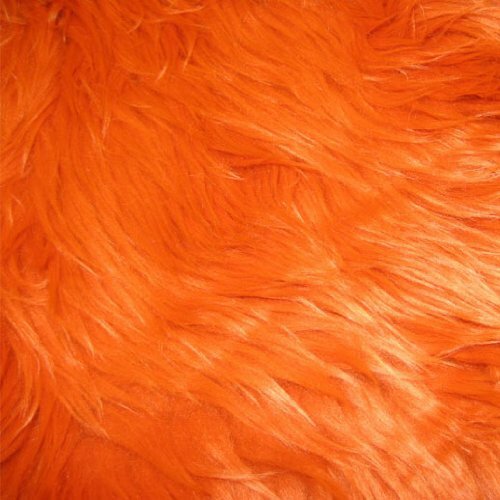 I am going to have to pick up fur fabric!!! I linked over from the Inspiration Board Creative Party where I am participating too with Spooky Spider Card and would love it if you’d stop by. How fun! I saw those eye balls over the weekend and almost bought them. but my hubby looked at me like I was nuts! I may have to go snag some now! Great job! This is absolutely spooktacular! I love it! It is creative and unique and lots of fun. This is SO cute! My daughters would absolutely love it. I’m making a trip to the dollar store to see what I can score there! Thanks Crystal! I appreciate you sharing it! That is awesome. I love it. Happy halloween. Oh my gosh, too cute! I just love this idea, and I like your little tips at the end on variations you can do. I love versatile projects like this! Pinning this for sure, and thanks so much for sharing at my link party! What a fun wreath idea 🙂 Thanks so much for linking up to All My Bloggy Friends this week! Very cute idea! Thanks for linking up on Made in a Day! SOOOOOOO Darling! Thanks for linking up at Tickled Pink Times two!! You rock. What a fun idea! Thanks for linking up for Friday Favorites. I’m featuring you this week. Love it. Very bright and colorful. Fun to make.